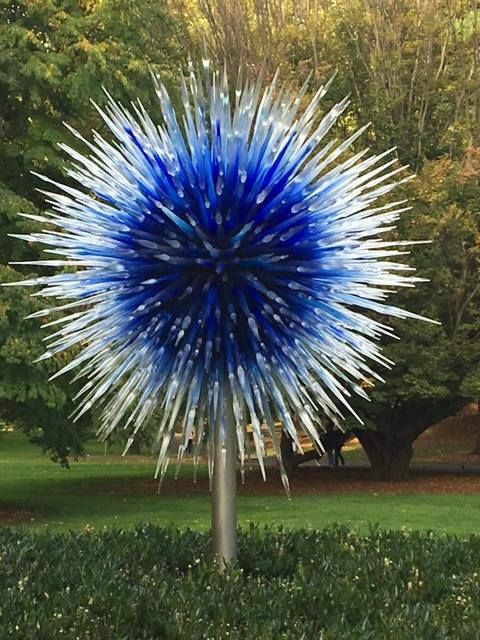 Children in Grades K-12 write poetry inspired by Chihuly Sculptures - A.L.L. insights, news, video and announcements from around the country's school districts. Children in Grades K-12 wrote poems inspired by Dale Chihuly’s sculptures at The Bronx Botanical Gardens. As part of the NYBG Kids’ Poetry Contest, Children in Grades K-12 wrote poems inspired by Dale Chihuly’s sculptures at The Bronx Botanical Gardens. Jacqueline Woodson, children’s book author, judged the contest and selected 12 poems to be displayed alongside the sculptures. What's remarkable is that these three poems – 1 by a Kindergartner and 2 by 7th graders – represent how different people can look at the same work of art and see it in their own surprising way.